About Welding Industries (Malaysia) Sdn. Bhd. 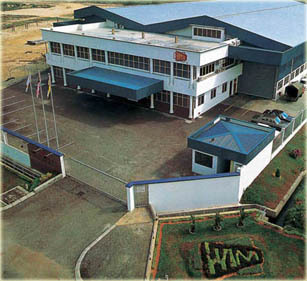 Founded by seven Leong brothers in 1972, Welding Industries Malaysia (WIM) has become the only local company in Malaysia that manufactures welding machines for use by industries after surviving the onslaught of the 1997/98 financial crisis and tough competition from local operators and China. As a leader and prime manufacturer in the industries of welding products, it has an on-going commitment to produce high quality welding products and services. WIM won the Best Product Award 2003 given by trade organization Small and Medium Industries of Malaysia (SMI Malaysia). About 70 per cent of the components in the welding machines, particularly key parts like transformers and PCB are made by WIM. Embracing exports and localizing the product to all corner of globe, Global Marketing represents a substantial proportion of the turnover, and sustained market penetration into all export markets, promises continuous development of Welding Industries business worldwide. Apart from placing emphasis on the quality of more than 40 models of welding machines in the low- and medium-range technology, WIM also provides after-sales service, training to technicians of buyers and technical school students. WIM also provides a "Total Welding Solutions", which includes MMA, MIG, TIG, Spot Welding, Plasma cutting, Plasma Welding and Robotic Automation. Though family-owned, the management of WIM places a lot of emphasis on professionalism. It has become more professionally run after the second generation, comprising graduates from UK and US universities began to join the management in 1996. The company is being transformed into professionally run firm. For the future, WIM will be broadening its product range to include high-technology welding machines so that they could venture into the developed countries such as UK and the US. WIM is proud to be at the fore front of welding industry, a position which will be reinforced by new production planning and marketing strategies. Our commitment to originality and innovative-technology ensures that growth to date will be more than matched by future achievements.